After 51 years of litigation, a final decree in the Aamodt case, adjudicating all water rights in the Nambe-Tesuque-Pojoaque Basin north of Santa Fe, was entered by U.S. District Judge William P. Johnson on July 14, 2017. 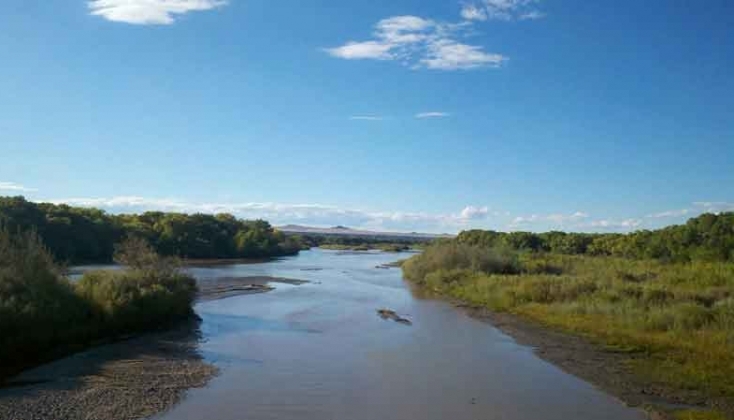 The issuance of the final decree is a momentous occasion, finally adjudicating water rights among four Pueblos, the County of Santa Fe, the State of New Mexico, the United States, and thousands of non-Indian residents in northern Santa Fe County. The Aamodt case was filed in the United States District Court for the District of New Mexico in 1966. After decades of litigation, six years of negotiation culminated in a settlement agreement approved by Congress in December 2010 as part of the Claims Resolution Act of 2010, to which the involved government entities are all party, and to which hundreds of individual water users have joined. While the final decree has been entered, the Aamodt case is not over. Many water users objected to the settlement agreement and may file an appeal in the Tenth Circuit Court of Appeals before the deadline in mid-October. A regional water system, part of the settlement agreement, is under development by the Bureau of Reclamation, and must be substantially complete by 2024. On July 18, the New Mexico State Engineer entered an order approving the transfer of water rights to Santa Fe County for use in the regional water system. Additional coverage of the Aamodt case is available at: Law360, Santa Fe New Mexican, and the Albuquerque Journal. Modrall Sperling represents the Pueblo of Pojoaque the Aamodt case. Maria O’Brien leads the Modrall Sperling team, which includes Sarah Stevenson, and participated in securing Congressional approval of the settlement agreement, entry of the final decree by the federal district court, and obtaining the State Engineer order for water rights for the regional water system. The firm actively participates in the environmental permitting and other settlement implementation issues, including negotiation of a joint powers agreement to facilitate operation of a regional water system, water master rules and regulations, and federal contracts for water.